If you're like me, I don't like to spend tons of money on a cheesy Halloween costume that looks like it cost $10 to make. And between my short runs, tempo runs, long runs, cross training, and working full time I don't have much time to sew up a costume on my rusty sewing machine either. So I did a little internet searching and found a few costumes that you could whip up with the workout clothes that you already have in your closet. 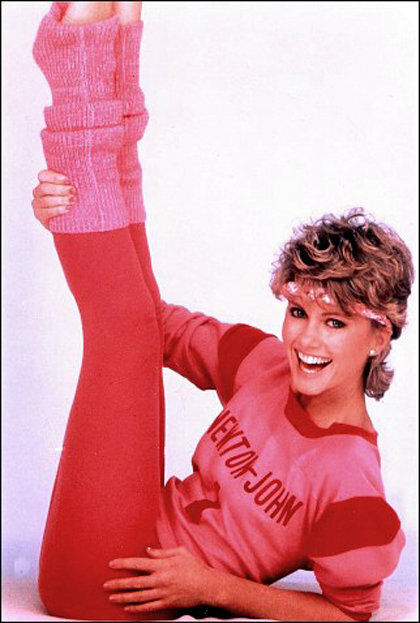 Let's Get Physical: Put on your brightest tights and dig up your leg warmers from that one winter trip to New York City years ago. Baseball/Football/Basketball/Hockey Player: If you're a big fan of watching sports like me, that means you have just as many jerseys as I do. I think that I have two jerseys from every single type of professional Los Angeles team out there. In fact, this year I plan to dress up as a UCLA football player (GO BRUINS!). 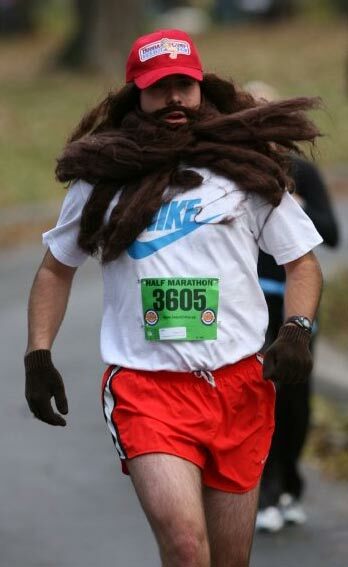 Forrest Gump: Throw on some running clothes and a beard. Boxer: Last year for Halloween I was a boxer. I just threw on some red shorts, my favorite sports bra, and grabbed my boxing gloves. I also used a YouTube makeup tutorial here to draw on a fake bruise on my eye. Whatever you decide to dress up as, just make sure you have fun and you're safe out there! These shorts look classic and comfortable too. Will like to buy them for myself online. Recently have bought work out gear in different colors and styles. Best thing is they look simply perfect on me. Thanks for sharing these Halloween costumes. You may have gotten notification from dear companions and the media that there are enchantment pills, so to state,generic cialis that could enable you to consume fat in a matter of moments. They have really discovered a ravenous market, (too bad for the statement with a double meaning), and are doing all that they can to make as much benefit as they can. What we truly require is some great antiquated good judgment. When you shop at a Pharmacy Online,tadacip you can take as much time as necessary choosing the things that you truly need and need. You can likewise stock up on basic things that don't lapse so you don't have to swap them for quite a while. Russell Westbrook Workout Some of the most common signs that you need to add recovery workouts are increases in muscle soreness and/or joint stiffness.